An abandoned three bedroom house in South London is expected to sell for ‘half price’ tomorrow for one very strange reason. 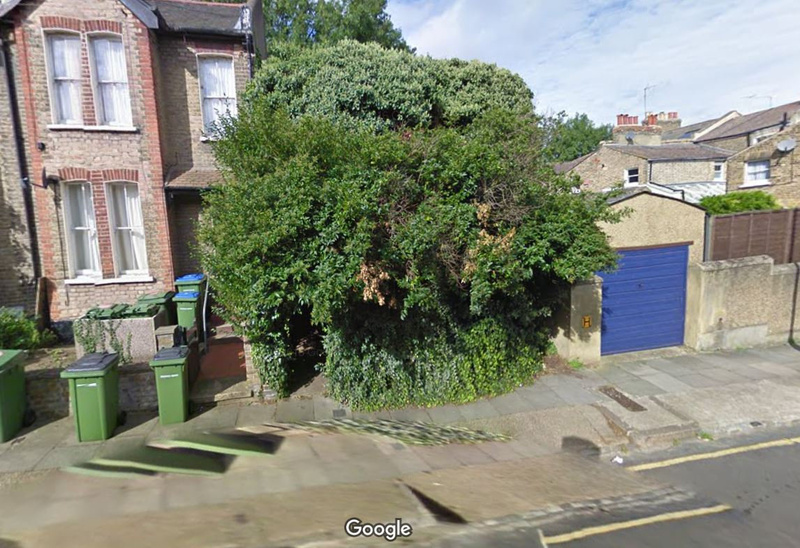 The house, known as The Tree House, is completely covered in, yes, you guessed it – trees – making it invisible to anyone wandering down Ruthin Road in Blackheath, London. It’s reportedly been years since the house was last inhabited and Savills Auctions, who are selling the property, claim it’s desperately in need of modernisation which is why it’s only expected to fetch £450,000 despite it’s wonderful location. And while you’re no doubt rolling your eyes and thinking that £450,00 isn’t exactly a steal it’s worth saying that anyone who’s brave enough to buy the house could make a pretty penny if they’re clever. According to Zoopla the average house price on Ruthin Road is £800,000, that’s nearly double what it’d cost to buy. Trimming those trees may cost a bob or two though. We don’t get homes like this very often. It has been neglected for so long and is in need of a complete renovation. We’re calling it The Tree House. It is on a really good street but it is so overgrown that it is surprising no one has made a complaint to the council about it. We have had a good level of interest. With the potential and the location it could make a great family home. If you’ve got a few quid in the bank and fancy buying the Tree House it’s being auctioned off tomorrow at The Marriott Hotel on Grosvenor Square in Mayfair, London. Of course we should say, and it proves how out of control the housing market is in London, the average house price in the capital is £475,000 so it’s not a bargain by any means.